Spring is here, life is blossoming in NYC! Unfortunately, despite our best efforts, the contracts between the Port Authority and the City of New York with USDA Wildlife Services remain in effect, and NYC’s Canada geese are still targets for USDA killing this summer. 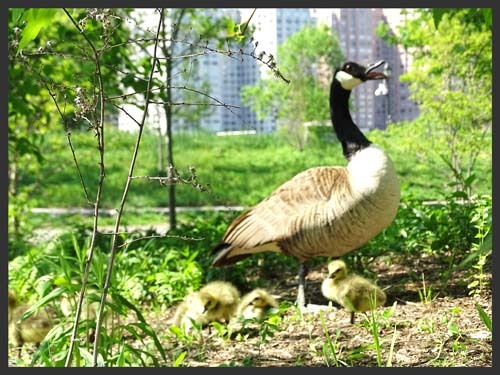 No information has been provided regarding whether USDA will conduct roundups of molting geese and goslings in NYC parks and Jamaica Bay Wildlife Refuge again this summer, so we have no indication or assurances that New York City’s geese are safe. We are demanding transparency from all agencies involved in the killing of geese in New York City parks and Jamaica Bay Wildlife Refuge. In the meantime, we’re we not just going to sit back and allow more geese to be needlessly killed – we’re mobilizing.